In 1520 A.D Sultan of Gujarat & Sultan of Malwa marched their army against kingdom of Mewar. The resultant battles were fought on multiple places in which Rana Sanga successfully defended his kingdom against the invasion. The most important event was siege of Mandsaur by combined armies of Gujarat and Malwa, which also failed. 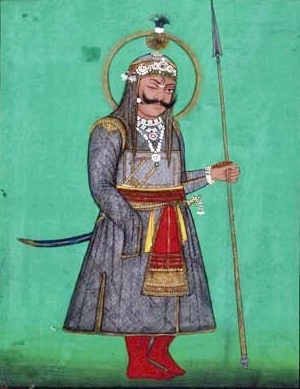 In early 1520 A.D. Maharana Sanga lead a coalition of Rajput armies and invaded Gujarat. He defeated the Muslim forces and plundered the wealth of the Gujarat Sultanate. The Sultan of Gujarat returned to his capital after the Maharana had returned to Mewar. He was grieved to see his country devastated, and planned to avenge its ruin. Additionally, a year before in 1519, Mahrana Sanga defeated & captured Mahmud Khilji II, the king of Malwa and released him only after sultan yielding jewel crown as nazrana and his son as security for good conduct. As a result kingdom of Mewar was surrounded by hostile kingdoms, ready to pounce on any opportunity. To avenge ruin of Gujarat, in 1520 itself, Sultan of Gujarat sent his general Malik Ayaz with an army of 100,000 cavalry, 100 elephants and general Qiwam-ulmulk with 20,000 horse and 20 elephants against Mewar. The Sultans army ravaged Dungarpur and advanced towards Banswara. After a skirmishbetween 200 horsemen under Shuja-ul-mulk and others, and some Rajputs in the hills,the Sultan’s army advanced and invested the fort of Mandsaur in Malwa, then in the Maharana’s possession. The governor of the fort, Asoka Mal, was killed but the fort did not fall. The Maharana left Chitor with a large army. Considering it a golden opportunity, Sultan Mahmud Khilji of Malwa arrived from Mandu to assist the Gujarat forces to repay the debt he owed to Muzaffar Shah. The siege was pressed but no progress was made. 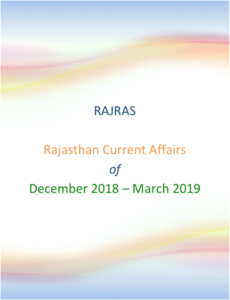 The Maharana’s army was reinforced by Medini Rai’s army, Raja Silhadi, the Tomar Chief of Raisen, Rawal Udai Singh of Dungarpur, Rao Ganga of Jodhpur, Rao Viram deva of Merta. As a result, the Rajput army strengthed to 80,000 men with 500 elephants.